Today, we stand as college students. Tomorrow, as young professionals. The transition between both inter-correlated stages is important for the development of every individual. Here at LBSA, our professional pillar strives to make sure your transition is as smooth as possible. Our founders have passed down the torch to us and we are to provide professional guidance that will help our members with their career paths. Our executive board works hard to provide our members with various workshops, conferences, network opportunities, and guest speakers. One of our biggest conferences of the year is known as the “Professional Development Conference”. Join us for an afternoon filled with workshops and hands-on interactions with an abundance of professionals in their respective fields. Remember the only person stopping you from reaching your professional peak, is that person in the mirror. LinkedIn Workshop ✔️ thank you to everyone who came out and joined us (4/9) as we listened to our guest speakers and LinkedIn representatives Ryan Zervakos and Germain Louie. We encourage all of our members to create a profile and expand your professional opportunities! 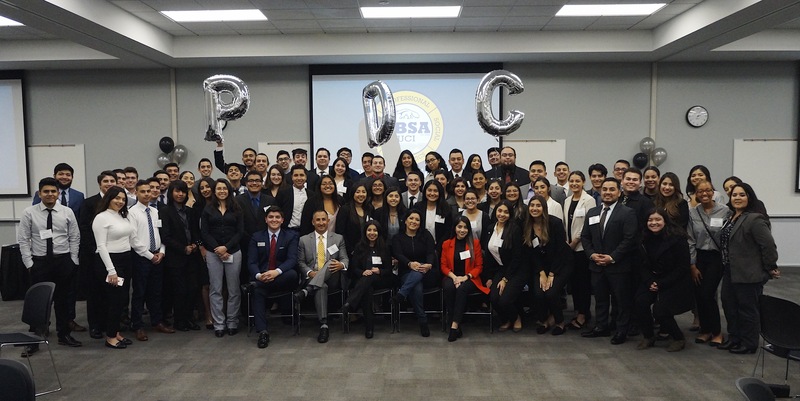 The Latino Business Student Association of the University of California, Irvine is honored to have hosted our 5th annual Professional Development Conference (PDC). PDC was initiated to provide the Latinx community at UCI, and partnering chapters, the opportunity to develop their professional skills as well as network with diverse companies that can assist participants in their professional pursuits. PDC consisted of a series of workshops where students acquired skills in which they can apply in the professional world. In addition, the students participated in a networking portion where they practiced their skills with hosting companies. We would like to give a big shout out to our guest speakers: Frank Gomez, David Ochi, Jessica Ortega, Denisse Mejia and Kelly Rivas. Check out our video recap of the event!